Being a good leader and one that can competently manage a business is a goal that many entrepreneurs aspire to achieve in their ambitious careers. And ambition is the key attribute that many top business executives around the world share that helps them with their drive to succeed to greater heights. Many of these successful business leaders often turn to countless books on leadership, finance, and other relevant topics in order to help them enhance their skills. Some of them even turn to an unlikely source for lessons on business. Now, you might not think that TV shows are ideal wellsprings of inspiration, but that’s certainly the case with HBO’s hit series Game of Thrones. This extremely popular and critically-acclaimed epic fantasy drama series chronicles the lives of a sprawling ensemble cast of characters jockeying for position to reign supreme over a massive fictional kingdom. Based on the book series by author George R.R. Martin, Game of Thrones has amassed a huge global following and managed to permeate the lofty annals of modern pop culture. And if you need proof that the most successful people in the world tune in to this show, look no further than Facebook’s founder Mark Zuckerberg to former President of the United States Barack Obama as confirmed fans of the HBO series. In fact, one could very well learn something from watching the show and applying the subtext of the series into their professional lives. So whether you’re a devoted follower of the TV show or not, you could probably benefit from learning the lessons that is woven into this incredible epic drama. 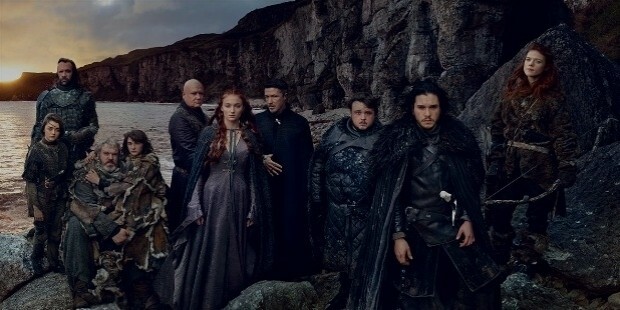 With the show about to end it’s seventh season currently airing as of this post and gearing up for their spectacular eighth and final season scheduled for a possible 2018 or 2019 release, here are some of the important lessons on business and leadership from Game of Thrones that you can definitely apply into your professional life. And a word of caution to those reading this who may not have seen the show yet, so a spoiler alert is in place as this piece specifically mentions events and situations related to certain characters mentioned. One of the main characters of the show—and also one of the strongest fan favorites—is Daenerys Targaryen, who is known for earning many well-deserved monikers which includes her distinctive title as the Mother of Dragons. 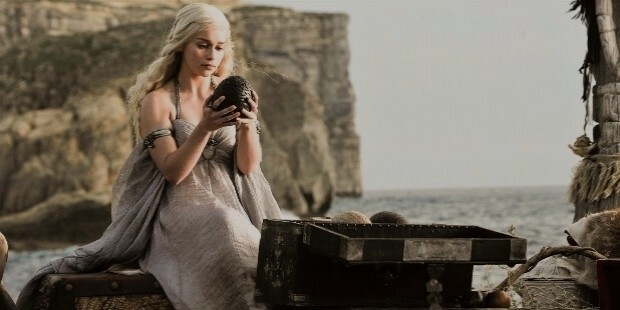 But in the very first season of the series, this was not always the case, as Daenerys started out as a timid and docile woman who owned three petrified dragon eggs as a wedding gift (pictured below) when she was married to her first husband, Khal Drogo. Cut to five seasons later, Daenerys has transformed into a confident and powerful queen who now owns fully-grown dragons at her impressive command. When you’re in the process of building a business or perhaps developing a new product or service that you intend to introduce to the market, it can be a long and tedious process before you can even realize your goals. And if you have assets that you firmly believe will help you reach your desired outcome, then you have to place faith in them. Much like how Daenerys held on to her collection of dragon eggs knowing that they would one day become her most valuable assets, you should also hold on and nurture those investments you have because they might one day blossom and propel you to successful heights. 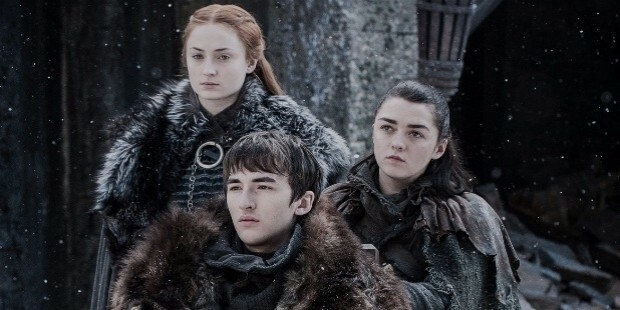 Game of Thrones is infamous for its unflinching portrayal of brutal violence, and yet despite the tragedy and carnage that has befallen so many characters on this show, the surviving children of House Stark (pictured below) have proven that resilience conquers above all. 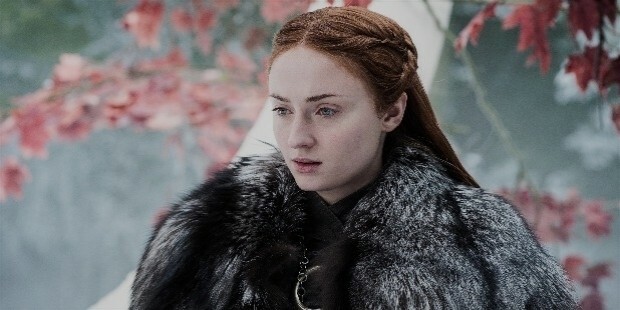 Sansa Stark is a survivor of physical, sexual, and emotional abuse from countless enemies of her family; Brandon Stark became physically disabled and endured several harrowing supernatural horrors; Arya Stark, meanwhile, bore witness to a succession of personal tragedies and was forced to defend herself against many antagonists at a very young age. The world of business and commerce is always going to be a very cutthroat environment where only the strongest can survive. And as an ambitious entrepreneur, you have to possess an incredible amount of resilience and tenacity in order to withstand whatever challenges that may come your way. Furthermore, a determined attitude is necessary whenever you are faced with failures since the road to reaching success is never easy. And confronting your obstacles helps strengthen your fighting spirit because the most successful people in the world have risen above the ashes and learned from their mistakes and failures. One of the reasons why Daenerys Targaryen is such a huge favorite among fans of the show is her transformation from a victimized pawn to a victorious power player who now has the capability to pull all the strings and gain undeniable influence around her. And the journey from where she started to where she is now has significantly helped inform her worldview, which is evident in her leadership style and battle strategies. 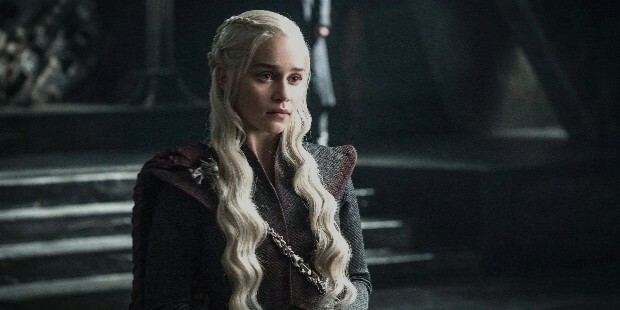 Daenerys may not have started out as a strong contender for the Iron Throne of Westeros, but now that she has gained valuable life experience, she has firmly set her goals to attain what she believes is rightfully hers. When you look at the trajectory of your professional career from where you first started, you may notice that you have changed significantly in terms of how you do business with others, and that’s an important thing for you to consider. Personal experiences are vital to the development of your career, and it lets you be more aware of how the world of business works and what you can do to make it work in your favor. And because life has a tendency to oftentimes give people a bunch of lemons, you should be resourceful and perceptive enough to take those lemons and turn them into lemonade so you could stay on top. The epic HBO series is also known for showcasing scenes that feature the ruthless cunning and smarts of certain characters which allows them the advantage of staying several steps ahead of their adversaries. These characters often operate behind the scenes and plot their schemes behind people’s backs so they could gain the upper hand, and almost always get away with their best laid plans. 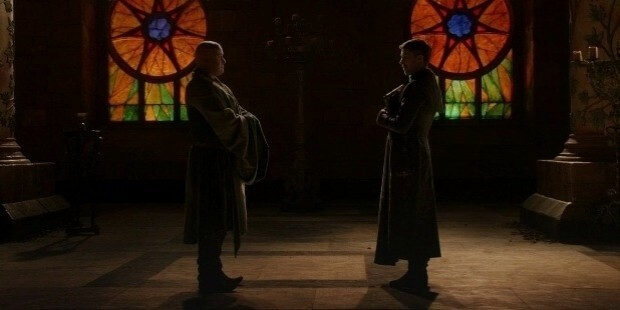 And chief among the master manipulators of the show include the likes of Lord Varys and Petyr “Littlefinger” Baelish (both pictured below), where their machinations have often driven the political and social conflicts of all their enemies. And as much as you want to play nice all the time when it comes to managing your career and your business, sometimes you need to play a little dirty in order to be considered as a formidable opponent from your business rivals. It’s important for you to utilize your intelligence to the best of your ability because you need to be constantly vigilant with the moves of your competitors and come up with strategic countermoves that could put you in a more favorable position. Moreover, you must never assume that your rivals are complacent because ambitious businesses are always coming up with plans to take down the competiton, so you must work hard to ensure the survival of your lucrative ventures. 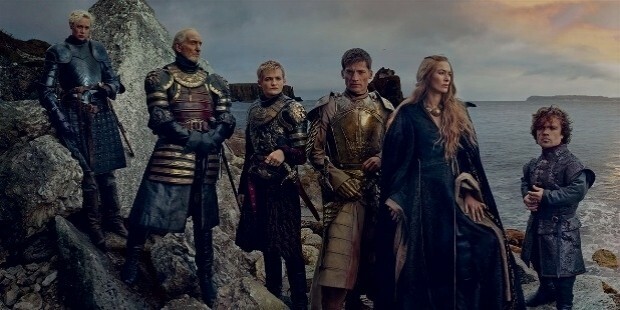 In the show, the members of House Lannister have been involved in several of the biggest conflicts and controversies. While they may not technically be the wealthiest royal family in the continent of Westeros, they have managed to carve out a high place in the social hierarchy through strategic loans provided by the Iron Bank which allowed them to buy assets of warfare at their disposal. 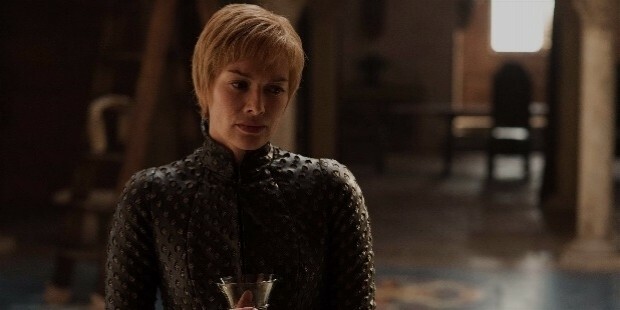 And since the Lannisters never want to be indebted to anyone, they always make it a point to pay all of their debts, as was the case with Cersei Lannister (pictured below) when she managed to pay everything her family owed back to the Iron Bank. There are times when you might be financially strapped for cash if you plan on sustaining the daily operations of your business. In such situations, you might be forced to take out bank loans or some other means of financing provided by other people. Even though you may not like the idea of borrowing money, it’s still a better solution than letting your business go bankrupt. But the most important thing you have to remember when you borrow money is that you have to pay back everything you owe to the lender who bailed you out. This ensures that you are someone can be relied upon to handle financial matters. One of the best things about watching Game of Thrones is that certain lead characters are likeable to audiences as paragons of leadership because of the people they choose to surround themselves with. For example: Daenerys Targaryen’s entourage and war council is an inclusive mix of very diverse people that includes former slaves such as her handmaiden, interpreter, and trusted advisor, Missandei, as well as her Unsullied army commander, Grey Worm. 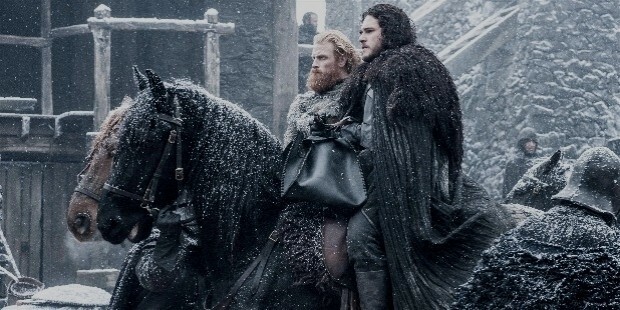 The same can be said of Jon Snow, a Westerosi Northerner who was able to form a strong friendship and alliance with the formidable Wildling raider and warrior, Tormund Giantsbane (both pictured below). Now that the world we live in is very aware of sociopolitical issues, businesses everywhere are trying to ensure that their workforce is reflective of an inclusive atmosphere. And a company that is open to employing various types of capable and talented individuals regardless of their background is a great advantage when it comes to business. Bear in mind that it will be detrimental to display any sort of discrimination or bias against a person based on their social or cultural beliefs. Don’t make the mistake of being a bigoted entrepreneur as this will only spell the downfall of your business as well as your integrity. 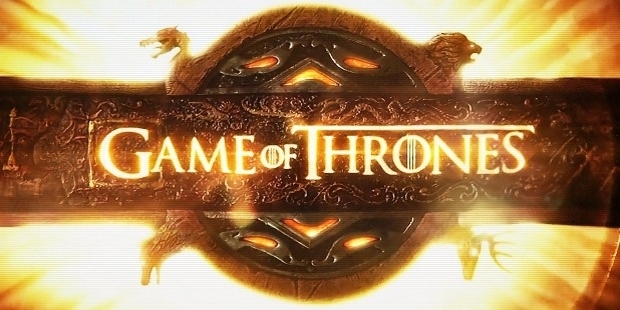 Since its momentous debut back in April 2011, Game of Thrones has seamlessly entered the global pop culture lexicon and taught people the complex politics of leadership. More importantly, the series has shown audiences that the pursuit and control of power comes at a mighty cost. For instance, Sansa Stark’s ascent to her current position as Lady of Winterfell (pictured below) was only possible after enduring and ultimately surviving a series of truly inhumane hardships that would have broken a person of a weaker constitution. Many other characters in the show who currently hold positions of power didn’t get to where they were without first making a personal sacrifice to achieve success. Sometimes, people will always have to make tough decisions when it comes to business that they need to reconcile with the fact that they may have to end up metaphorically sacrificing a part of themselves if they want to achieve their intended goals. Fame, fortune, and success are never earned unless one has given up something important to ensure that their dreams and expectations are met. That being said, you need to be emotionally and psychologically prepared to face the consequences of your actions and decisions once you’ve made those necessary sacrifices in the name of achieving your career aspirations.